MyRED Spammer 1.1 is a free spammer for MyRED domains. 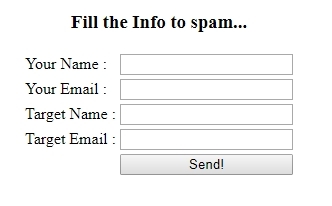 You can use this tool to send spam to anyone but it's best used by registering an email and send the invitations to you. Register as many domains as you want for free for any type of business.